After a missed start, Samsung's Android 8.0 Oreo update is finally being deployed to Galaxy S8 devices around the globe. Unfortunately, there are many countries where the update has yet to arrive, which suggests Samsung is really taking it very slowly. One other Samsung flagship that hasn't yet received Oreo, the Galaxy Note 8 is likely to be updated very soon in the United States. Major carrier AT&T has just finished testing the final version of Oreo for the Note 8 and may begin the roll-out very soon. Apparently, the update has already been uploaded to AT&T's servers after being certified by Google and passed SafetyNet compatibility. The update – aimed at Snapdragon-powered Galaxy Note 8 devices – contains the March security update, the latest patch released by Google. 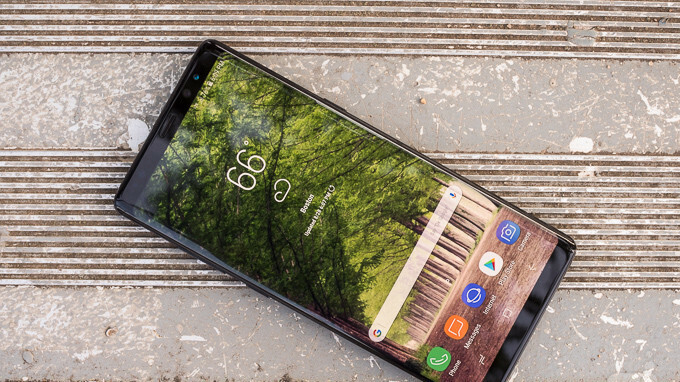 Hopefully, AT&T won't be the only US carrier to release the Android 8.0 Oreo update for the Galaxy Note 8, though it's hard to predict which network operator will launch it first. Months later and it's just getting this update? I happen to own an SD powered Note 8, and I love Oreos. I'll have the milk standing by. Hey Dark I got a brand new, in the box, Note 8 about three weeks ago ( at a great price though a personal friend < 400.bucks -He got it as a gift but already had one -Kid is very well to do> ). I have really been enjoying it and I must say it is the one if not the best device I have ever had ( i know that's subjective but that's me) I am just wondering what the Google Oreo update will bring that Samsung did not already pack the Note 8 with? I mean Google is just making things officially part of its Oreo update that Sammy had for years. So, it does not seem we are really missing much ( except for security updates) in terms of functionality. So, updates to me( my opinion) really don't matter that much. This is the 3rd Galaxy I have own that I have not needed to rooted as there was no need - it worked great and had many features that I could add via download or remove ( the S6 Edge, S7 and now the Note 8). So is there something that Oreo will bring that I am missing? I've been watching the betas on YouTube, and there are some cool features and refinements. Check some out, it's a good update. Sorry for the late response. Another article that jump the gun .. yes, build 3CRBB was the first to be Certified through Google .. however, yesterday, 3CRC1 was released to the AT&T servers (and leaked) that is NOT certified through Google. Out of ALL the builds of Oreo released and leaked through AT&T, 3CRBB was the first to be certified - but, still was missing key components that Play Store deemed as being 'Not Compatible' with the Note 8 ! Example of this would be Samsung Accessories apk, Gear S Plugin apk etc etc .. these still needed to be installed manually in order to gain connectivity to Gear 360's, Gear S watches etc. They're getting there .. just not quite there yet. Not really. The article says "soon" which is a very ambiguous term. That could mean today or it could mean 6 months from now or longer, so you really can't say they jumped anything. Yes .. I can say that .. especially when they state "Major carrier AT&T has just finished testing the final version of Oreo for the Note 8" .. 3CRBB was NOT the final release .. 3CRC1 came out yesterday. Seriously, the Note 8 should have been Samsung's priority over all other devices. Not only was it the most expensive, it's their latest high-end device. Get it together Samsung. That may be true, but the S always gets the latest update prior to the Note that came out after it. Unfortunate, but true.